F. Lee Angus, Jr. DDS was established with a dedicated group of staff members who are exceptional, experienced and well trained individuals to cater to your dental needs. This is the area of dentistry you are most likely to be familiar with and we are here to fulfill all your dentist needs! General dentistry covers a wide range of procedures. This includes the initial consultation and diagnostics such as x-rays and study models for replacement teeth. These services are designed to help you maintain good oral health by preventing disease onset before it develops in your mouth. Along with care we will give you advice to improve your at-home oral hygiene. 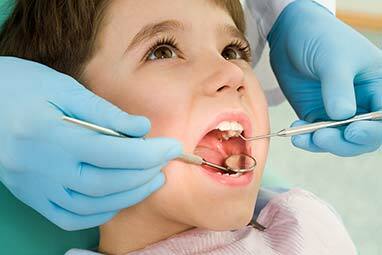 We also offer and recommend preventive treatments such as sealants, when needed. Designed for your dental woes we will ensure you get timely and appropriate treatment. We offer you a place to go when you need prompt treatment for dental trauma and provide more advanced treatments, such as root canal therapy, orthodontics, and dental implant restoration, as well. Today, cosmetic dentistry is more popular than ever. And we have a wide array of tools and techniques at our disposal to improve your smile. At F. Lee Angus, Jr. DDS we can help you get the sparkling smile you’ve always wanted with a range of cosmetic procedures. Before deciding to undergo any cosmetic procedure, it's important to know the benefits and risks and what you can expect during the process. Make sure you're clear about what it will cost, how much experience your dentist has with the procedure, and whether any special maintenance will be needed afterwards. In 2002, "Oral Health in America: A Report of the Surgeon General" found that dental caries (tooth decay or cavities) is the most chronic childhood ailment. It is important that your child see a dentist by age one to establish a long-term dental hygiene and professional dental cleaning plan. Orthodontics or the placement of braces to align the jaws or teeth may be appropriate by seven years of age. But the age may vary and we can shed light on this during your appointment. F. Lee Angus Jr. has been practicing since 2003, after graduating from VCU School of Dentistry. We are experienced in all aspects of dentistry including restorative, implants, extractions, root canals, orthodontics (traditional and Invisalign), crowns, bridges and dentures. Our patients enjoy the intimate, personal atmosphere our staff provides in a convenient location with prompt emergency services and convenient appointment times. We take pride in our hygiene visits, keeping our patients healthy. Treatment plans are designed on building a relationship. Creating healthy smiles with our dedicated care. Interested in learning more or talking about your family dental care? Our aim is to provide each patient with the finest care in a professional environment that inspires trust and confidence. We encourage you to share your ideas, opinions and feelings as we believe that open communication will ultimately enhance patient care.